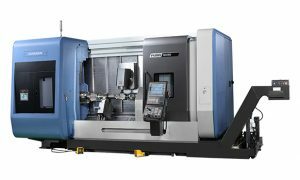 The Puma TT1800 Series is a 65mm (2.6inch) bar capacity high productivity horizontal turning center equipped with twin opposed spindles and upper/lower turrets. The left and right spindles can process work pieces independently to achieve excellent productivity. The work pieces processed by the left and right spindles are discharged via an automatic system. 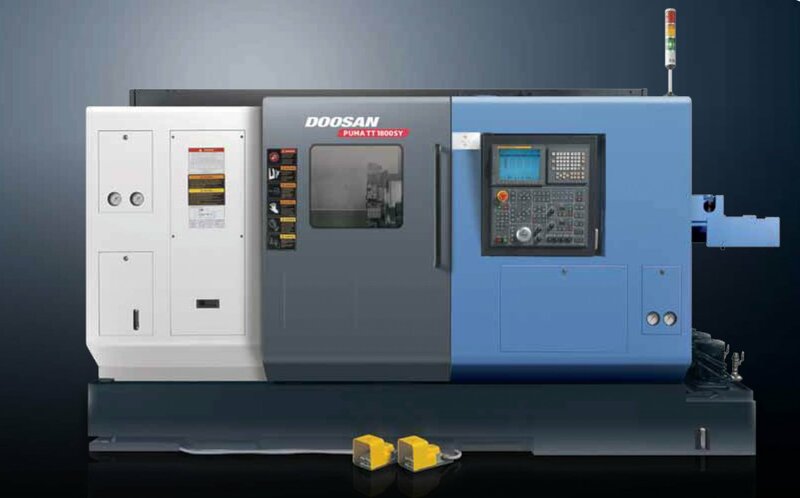 The Puma TT series has become one of Doosan’s bestselling products and is favored by customers all around the world. 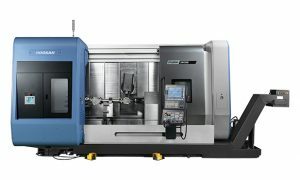 1.Productivity doubled with the adoption of a right spindle and a lower turret: The left and right spindles and the upper and lower turrets operate independently to double the machine’s productivity. 2. Excellent rigidity and power implemented with axis travel system optimization technology: The product’s rapid traverse rate of 40m/min and high rigidity roller LM guide ways are designed to meet the required characteristics of machines whose users require a very high level of productivity. 3. Equipped with an advanced finished part removal system for both spindles: The left and right spindles are equipped with independent part catcher and unloader systems to provide a fully automated manufacturing system.